From Thursday October 4 through Sunday October 7, we will be at Booth 2104-A. 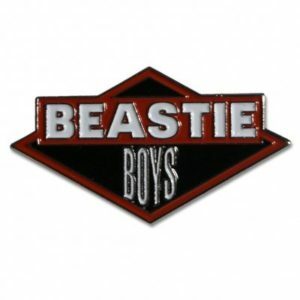 We’ll kick off NYCC with Beastie Boys audiobook trivia on Thursday. The first twenty-five participants to answer all five audio-specific questions correctly will receive a copy of the Beastie Boys Book, by Michael Diamond and Adam Horovitz before the book hits stores on October 30. You’ll receive a Beastie Boys enamel pin for playing. On Friday October 5 and Saturday October 6, test your Star Wars™ and Harry Potter knowledge respectively for great gifts, including earbuds and exclusive character pins. We’ll close out the weekend with our new Book-to-Screen audiobook trivia, where participants can tell us if the book is really better than the live-action version. On Saturday at 11:00 a.m. in Room IA18, we are bringing back our signature audiobook game show, I’ll Take Dementors for $500, Obi-Wan: A Fan Game Show (Heroes and Villains edition). Featuring Star Wars™ audiobook narrator Marc Thompson as the host and bestselling authors Delilah S. Dawson (Kill the Farm Boy), Sylvain Neuvel (Only Human), Ryan North (How to Invent Everything), and Chuck Wendig (Aftermath: Star Wars) as the competitors (along with some lucky audience members), this hour-long game show will be fun for all. Directly following the game show, there will be a signing with all the authors at Autographing Area Table 1. 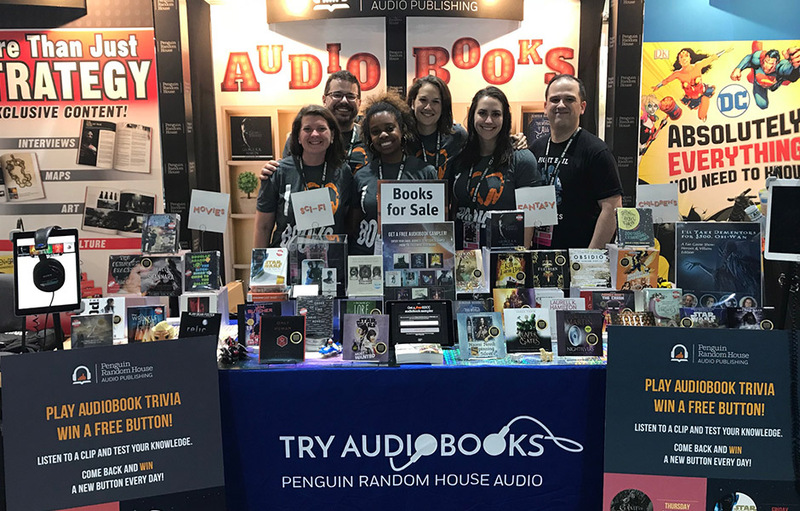 And don’t forget to sign up for our newsletter at the booth to receive an audiobook sampler delivered via email. Audiobook excerpts on the sampler include A Map of Days by Ransom Riggs; An Absolutely Remarkable Thing by Hank Green; Accessory to War: The Unspoken Alliance Between Astrophysics and the Military by Neil deGrasse Tyson; Stranger Things: Worlds Turned Upside Down, The Official Behind-the-Scenes Companion by Gina McIntyre; and Star Wars: Lando’s Luck (Star Wars: Flight of the Falcon) by Justina Ireland. Visit Us at New York Comic Con 2017 • Visit Us at San Diego Comic-Con • Visit Us at Comic-Con!